string(1177) "Resource Centre > Uncategorized > Ripe for Change: Ending Human Suffering in Supermarket Supply Chains report"
Millions of people around the world who farm, fish, and process the food in our stores are working extremely long hours, toiling in unsafe conditions, and earning only poverty wages. 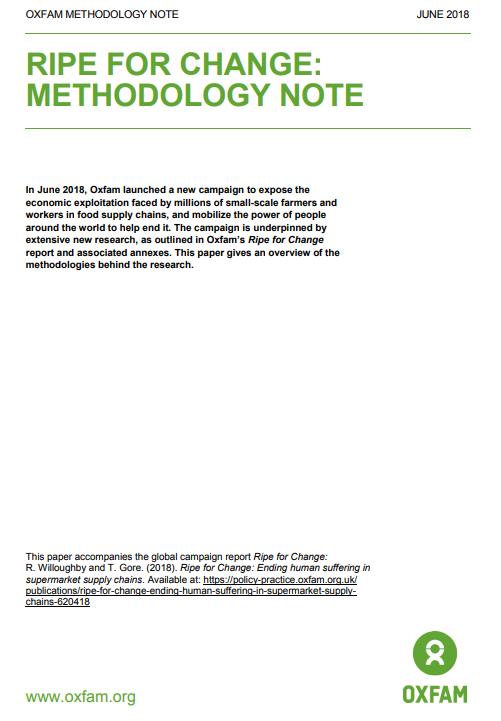 The report and its accompanying methodology note launch Oxfam’s new campaign to expose the economic exploitation faced by millions of small-scale farmers and workers in food supply chains. There is no justifiable reason that the human and labour rights of women and men supplying supermarkets cannot be respected. There is no moral excuse for anyone producing our food to go hungry. 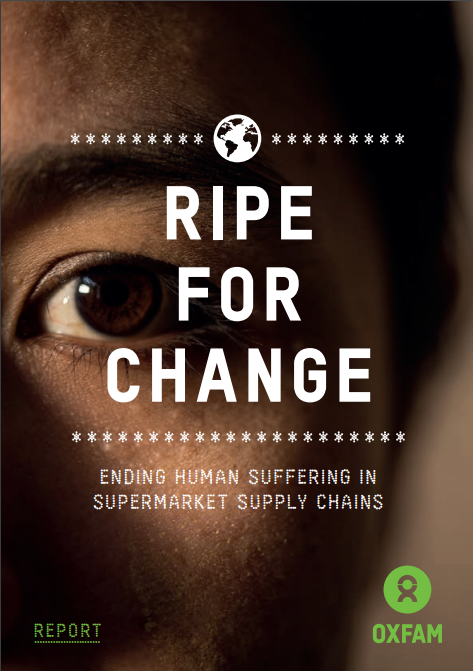 This report launches Oxfam’s new campaign to expose the root causes behind human suffering in food supply chains and to mobilize the power of people around the world to help end it, starting with a focus on the role of supermarkets.